Bayonne is a city and commune in south-western France at the confluence of the Nive and Adour rivers, in the Pyrénées-Atlantiques department, of which it is a sub-prefecture. 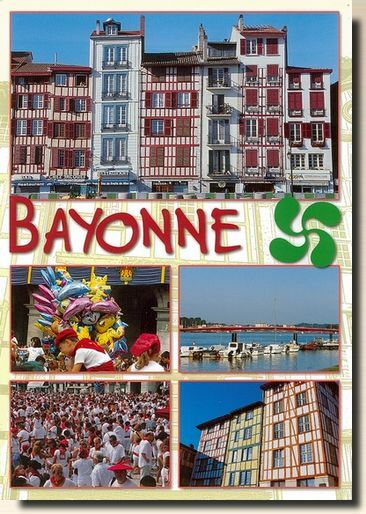 Together with nearby Anglet, Biarritz, Saint-Jean-de-Luz, and several smaller communes, Bayonne forms an urban area with 178,965 inhabitants at the 1999 census, 40,078 of whom lived in the city of Bayonne proper (44,300 as of 2004 estimates). The communes of Bayonne, Biarritz, and Anglet have joined into an intercommunal entity called the Communauté d'agglomération de Bayonne-Anglet-Biarritz. 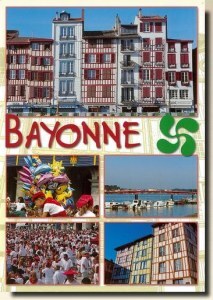 Bayonne is the main town of Labourd and it is part of the French Basque Country.